The Great Western Bicycle Rally is a celebration of cycling held every Memorial Day Weekend in Paso Robles, dating back to 1965. The rally offers many activities and rides, including a century. 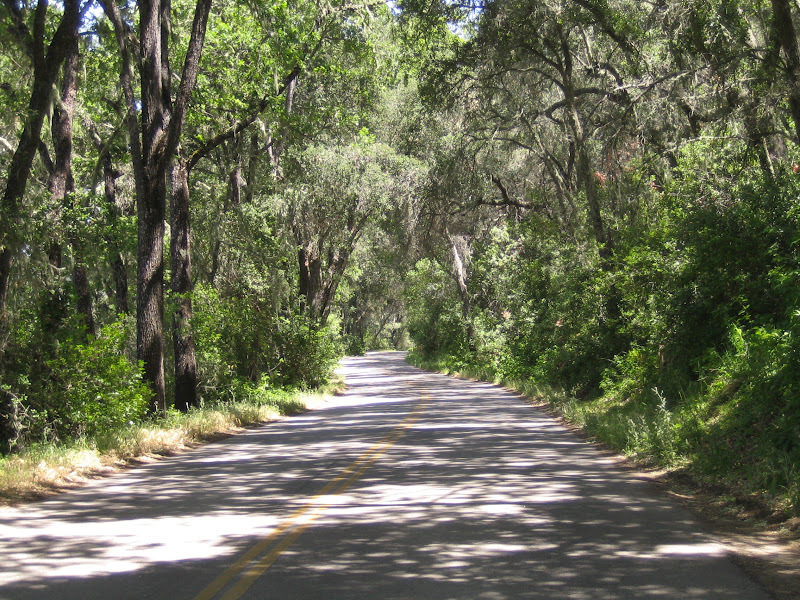 This ride starts in Paso Robles and loops out into the country near Creston and through Templeton, before heading towards the coast on Highway 46. Two scenic detours lead through vineyards, the first on Jack Creek Road and the second on York Mountain Road (oldest winery in the region). 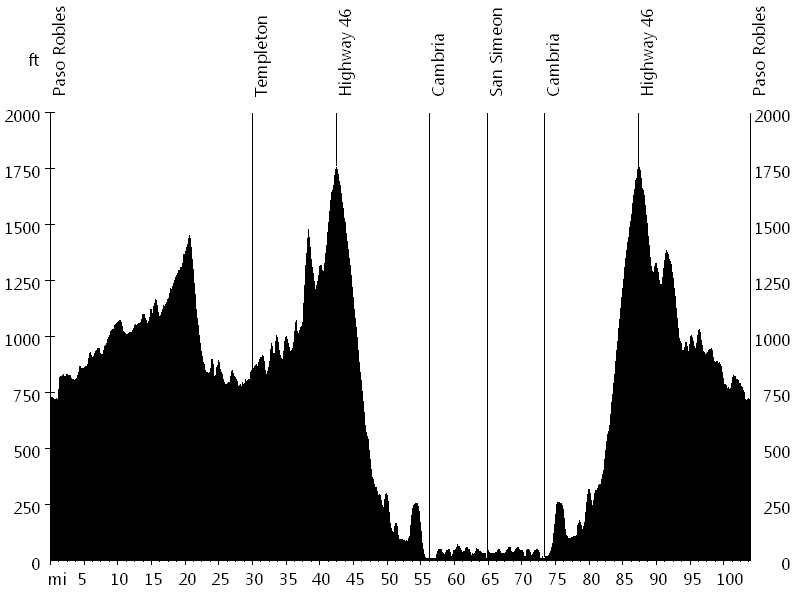 Highway 46 eventually descends to Highway 1, which leads into Cambria. The course then follows the coastline to San Simeon, known as the home of Hearst Castle. Here the route turns around and leads back on Highway 1, before climbing Highway 46 and rolling back into Paso Robles. Sandra, Lisa, and I had a fun weekend. Paso Robles is a favorite destination, and combined with a great cycling event even more so. We arrived on Saturday and visited the local arts festival, before attending the rally social event. On Sunday Sandra and I rode the century, and on Monday we went wine tasting.